Trade union, industrial relations and employment law. Commercial litigation in professional negligence, tax and insurance disputes. Alice was appointed Junior Counsel to the Crown (C Panel) in 2016. Alice is a member of the Commercial Bar Association (COMBAR) Executive Committee. Alice has a busy employment law practice covering all aspects of employment work at first instance and on appeal, in the ET, EAT and High Court. She specialises in industrial relations and industrial action and has worked on some of the most high profile disputes in recent years. She is often instructed against more senior counsel. Successfully representing Royal Mail in obtaining an injunction to prevent a national postal strike (junior to Andrew Burns QC) (Royal Mail Group Ltd v Communication Workers' Union  EWHC 2548). Advising and acting for Birmingham City Council in its industrial dispute with its waste collection services (spring 2019). Advising a delivery company on tactics for managing unofficial industrial action (autumn 2018). Advising British Airways on industrial action by cabin crew in December 2016 (junior to Andrew Burns QC). Successfully representing the MOD in a 3 week ET Final Hearing of a disability discrimination claim. Resisting an application for interim relief in the ET in a whistleblowing claim. Acting as junior counsel in a restrictive covenant dispute, including an application for springboard relief and obtaining an undertaking from the Defendant. Advising and representing high profile employers on equal pay, sexual harassment and #metoo claims. Alice has particular expertise in industrial relations and industrial action. She is experienced in making applications for injunctive relief to prevent strike action and in advising on coping strategies to manage industrial action. Alice is instructed to advise on industrial action matters either as sole counsel or junior counsel. In late 2018 Alice was instructed to advise a waste collection company on a ballot for industrial action carried out by a trade union. In early 2019 she was instructed by Birmingham City Council (as junior to Andrew Burns QC) in its industrial dispute with its waste services department. This resulted in hundreds of missed bin collections since Christmas 2018. Alice acted as junior counsel in the injunction application and advised on industrial relations matters. In October 2017 Alice was instructed as junior to Andrew Burns QC by Royal Mail and obtained an injunction to prevent a national postal strike set for October 2017 (Royal Mail Group Ltd v Communication Workers' Union  EWHC 2548). In December 2016 and January 2017 Alice advised British Airways on the industrial action taken by cabin crew (as junior to Andrew Burns QC). During summer 2015 Alice advised another airline on potential industrial action. During summer 2017 she advised a construction business on potential industrial action including balloting and strategy. Alice advises on industrial action which involves a cross-border element (Viking and Laval type cases) and has also advised on blacklisting, collective agreements and employer membership of union-backed trade organisations. She has also dealt with protests by trade unions designed to disrupt the smooth running of a business without resorting to industrial action. Alice has been involved in industrial relations cases in a number of industries including retail, delivery services, airlines and construction. In 2016 she was instructed to assist with industrial relations matters arising in the Construction Industry Blacklisting litigation. During pupillage she worked on a number of industrial relations cases including the British Airways Cabin Crew Litigation - Malone & Ors v British Airways Plc  EWHC 302 (QB),  All ER (D) 220 (Bruce Carr QC leading Andrew Burns QC) and EDF Energy Powerlink v RMT  IRLR 114 (Timothy Brennan QC leading Andrew Burns QC). Acting for the claimant in a High Court international restrictive covenant and confidentiality dispute in the High Court. Although led by Andrew Burns QC, Alice was instructed to make the application for permission for alternative service due to the defendant being outside the jurisdiction. Successfully resisting an application for injunctive relief sought against a bank by a former employee in respect of alleged breach of contract and failure to disclose personal data. The claim was struck out. Advising on a restrictive covenant in repsect of an employee shareholder. Advising a solicitors' firm on injunctive relief for breach of confidentiality and inducing breach of contract. Alice is experienced in representing employees and employers in claims for unfair and wrongful dismissal in the ET and the courts. She has represented senior employees in unfair dismissal and breach of contract claims against financial and City institutions and against more senior opponents. Alice has a wealth of experience in representing employers ranging from small businesses to international companies in a wide range of dismissal disputes. She can provide advice and representation on the whole range of employment rights including whistleblowing and TUPE cases and dismissals which engage Article 8 ECHR. Advising a City bank on a claim for bonus and share payments upon termination. Advising on a High Court breach of contract claim in relation to a contractual redundancy scheme. Advising on a contractual claim for commission payments. Advising and drafting proceedings in a claim for recovery of severance pay withheld due to alleged misconduct. P x X - successfully representing a construction company in a claim of alleged race discrimination against Polish workers. T v B - successfully representing a City commercial real estate company in a high value claim for unfair dismissal, age discrimination and disability discrimination. C v O - successfully representing an university in a constructive dismissal and age discrimination claim. The case received considerable press coverage. Representing appellants in the EAT in claims relating to the abolition of the default retirement age and extension of time for presenting an appeal. B v BA - led by Andrew Burns QC in successfully defending an equal pay claim. JK v MK - successfully representing a Respondent in a 6 day race discrimination claim. The ET was persuaded to make a finding that the Claimant had fabricated a document. Alice also has experience in advising on claims for discrimination in the provision of services on the multi-track in the County Court. Alice advises employers on data protection issues in the workplace and acts in disputes relating to the Data Protection Act 1998. This includes advising employers and recruiters on their data policies and litigating data subject access request disputes. Recently Alice successfully represented an employer in resisting an application brought in the County Court by an employee for disclosure of information under the Data Protection Act. The case raised issues of confidentiality and human rights, in particular in relation to the right to practise one’s profession and Article 6 ECHR. Alice has also successfully defended a data protection claim brought by a job applicant against his potential employer for the disclosure of references. Alice gives seminars and lectures in employment. She was recently asked to co-contribute to and present a paper at a Labour Law seminar at Oxford University. The paper was incorporated into The Autonomy of Labour Law (Hart, 2015), a collection of essays on labour law by leading academics. Alice’s LLM specialised in Labour Law. She wrote her dissertation on the justification of direct age discrimination and her extended essay focused on claims for breach of contract, the manner of dismissal and the Johnson exclusion zone. Alice writes articles and is a contributing author to books on Employment Law. Alice has experience of advising and representing parties in litigation and arbitration. Her most recent work includes advising on coverage, notification and construction issues and successfully representing an insurer in a notification dispute in arbitration under the solicitors Participating Insurers Agreement. She is currently being led by Colin Edelman QC in an arbitration under the solicitors Participating Insurers Agreement on the meaning of successor practice under the Solicitors’ Minimum Terms. Alice is also being led by Colin Edelman QC in defending an insurer’s decision to decline cover to an insured for breach of a hot works condition precedent. Alice is a former member of the BILA U35 committee. In 2014 she spent time working in-house at an insurer client in order to gain first hand experience of the market. Also in 2014, she completed a four month secondment at a solicitors' firm in the professional negligence and insurance team. Alice has also recently advised on the recovery of defence costs and drafted particulars of claim under the Third Party (Rights Against Insurers) Act 1930. She has also been instructed with senior members of Chambers to advise on a jurisdiction point in respect of a policy of reinsurance. Alice assisted Colin Wynter QC with updating the reinsurance chapter of MacGillivray on Insurance Law (Centenary edition). Alice was a co-contributor of an article to the British Insurance Law Association Journal (125th edition) entitled "Consumer Insurance: the risks of contracting on unfair terms". Alice has subsequently given a seminar on consumer insurance. Alice has a busy commercial practice. She is instructed to act in and advise on general commercial disputes, professional negligence and insurance. She is currently being led by Colin Edelman QC in an arbitration under the solicitors Participating Insurers Agreement and also in defending an insurer’s decision to decline cover for breach of condition precedent. Alice is an experienced litigator. She is often instructed to appear in applications and she has particular experience of making and resisting applications for relief from sanctions under CPR 3.9. Alice's recent cases include disputes arising from the steel, manufacturing and financial services industries. Alice provides advice on non-contentious matters. She was recently instructed by a national company to review its standard terms and conditions for compliance with the relevant consumer protection legislation, in that case the Consumer Contracts (Information, Cancellation and Additional Charges) Regulations 2013. Alice also has experience of advising on data protection issues. Recently she was instructed to advise a multinational company on its recruitment procedures in circumstances where personal data was processed outside the European Economic Area. Drafting a claim against solicitors relating to the conduct of a medical negligence claim. Advising an IFA in respect of a contractual/employment dispute arising from a professional negligence claim. Drafting a defence in a claim against an IFA in respect of SIPP investments in offshore bonds. Drafting a defence to allegations of professional negligence, as junior counsel, on behalf of an architect. Advising and drafting a defence to a claim brought against a university for alleged negligent teaching of a post-graduate qualification. Please see Alice's Professional Negligence section for more details. Alice accepts instructions in insurance and reinsurance work. She has experience of advising on both insurance and reinsurance matters. Recently Alice has worked for several days in-house with insurer clients in order to to gain first hand experience of the insurance market. Alice acts for Claimants and Defendants. Her recent work includes advising on coverage, notification and construction issues, particularly in respect of professional indemnity insurance. She has also recently advised on the recovery of defence costs and drafted particulars of claim under the Third Party (Rights Against Insurers) Act 1930. Alice has also been instructed with senior members of Chambers to advise on a jurisdiction point in respect of a policy of reinsurance. Alice and Alison Padfield contributed an article to the British Insurance Law Association Journal (125th edition) entitled "Consumer Insurance: the risks of contracting on unfair terms". Alice has subsequently given a seminar on consumer insurance. Horwood v Argos & Ors  Lloyd's Rep IR 453. Alice worked on interim applications arising out of the insurance dispute in the "toxic sofas" litigation. Alice has particular experience of claims against solicitors, valuers, surveyors, architects, financial advisers and trustees. Alice is experienced at acting for both Claimants and Defendants. She can provide advice, letters of claim and response and pleadings and also advises on issues of policy coverage. In 2014 Alice did a four month secondment at a solicitors' firm undertaking defendant professional negligence work. She now has a great deal of experience of working with insurers and defendants to defend claims. Advising and drafting pleadings in a claim against a solicitor for alleged neglignent execution of a lease and failure to advise on a claim against the landlord. Drafting a letter of response on behalf of trustees in response to allegations of breach of trust relating to the disposal of trust property. Advising on a claim against a solicitor for alleged failure to advise on the tax implications of a SPA. Advising on a claims against a valuers in respect of RICS HomeBuyer Reports. Drafting a letter of response on behalf of a solicitor in response to allegations of negligence and breach of contract in relation to a personal injury case conducted under a CFA. Drafting a defence on behalf of an architect to a claim brought by an individual who had assigned his rights to claim professional negligence to another party. The claim was withdrawn in face of an application to strike out. In 2016 Alice was appointed Junior Counsel to the Crown (C Panel). She accepts instructions from both HMRC and taxpayers. Alice was junior to Akash Nawbatt QC on behalf of HMRC in the successful appeal HMRC v Hely Hutchinson  EWCA Civ 1075. This is a leading case on legitimate expectations between HMRC and the taxpayer. She is currently instructed to represent HMRC in another set of judicial review proceedings based on legitimate expectations. Alice successfully represented HMRC in the Upper Tribunal in ETB v HMRC  UKUT 424. This related to the default surcharge pursuant to section 59 VATA 1994, in particular whether the taxpayer had a reasonable excuse for the non payment of VAT. She is currently instructed by the National Crime Agency in a high value case concerning appeals against a penalty determinations pursuant to section 100B TMA 1970. 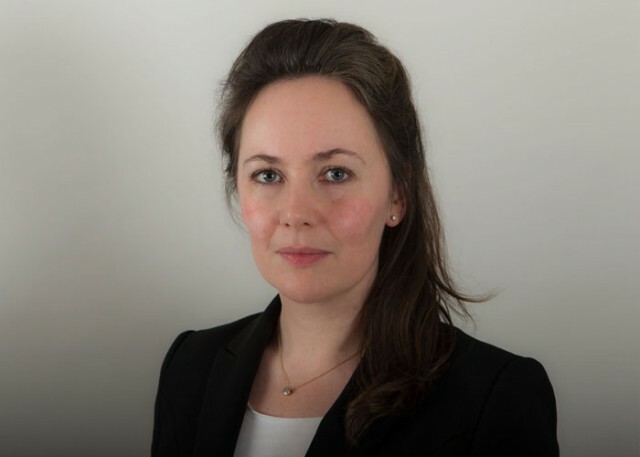 Alice’s experience of contentious tax matters includes residence and penalty determinations.She is also instructed to advise on issues of employment status and professional negligence relating to taxation.